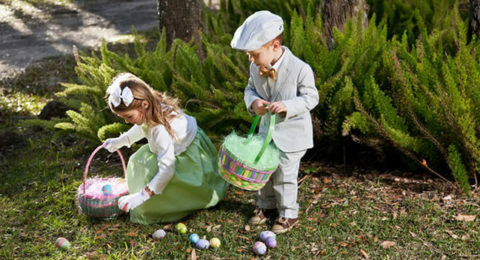 This Easter we are are going to share some tips on how to organize an Easter egg hunt. Follow these tips to plan and carry out an exciting Easter tradition. Before we do get into the fun tradition, let’s look at the meaning behind Easter and why we celebrate the event. Easter is a holiday celebrating the resurrection of Jesus from the dead, described in the New Testament as having occurred on the third day of his burial after his crucifixion by the Romans at Calvary. It is the culmination of the passion of Jesus, preceded by Lent (or Great Lent), a forty-day period of fasting, prayer and penance. Most Christians refer to the week before Easter as “Holy Week”. It contains the days of the Easter Triduum, including Maundy Thursday, commemorating the Maundy and Last Supper, as well as Good Friday, commemorating the crucifixion and death of Jesus. In Tradition of the event we celebrate Easter with Easter egg hunts. The egg was a symbol of the rebirth of the earth in pre-Christian celebrations of spring. However, the Easter egg itself was defined by early Christians as an Easter symbol of the resurrection of Jesus. Here are some tips on how to organize an Easter egg hunt with your family and friends this Easter. Get your house ready for your Easter egg hunt by hanging pastel balloons outside your home and an Easter decoration on your door so everyone knows where they’re going. If you plan on serving snacks at the hunt, decorate a few tables with pastel-color tablecloths and streamers. Have Easter baskets ready for your kids to take on the hunt. You can hide plastic or real eggs at your Easter egg hunt, just make sure you get the supplies far enough in advance. If you’re decorating and hiding real eggs, get a few small prizes to hand out to the children. Fill plastic eggs with small toys, candy, temporary tattoos, coins, stickers, beads, or numbers that correspond to bigger prizes, such as stuffed animals, chocolate bunnies, Easter books, or gift certificates. If you have both younger and older children attending your Easter egg hunt, divide the backyard into two zones so you can hide your Easter eggs based on age groups. Go easy on the smaller children by leaving eggs on low branches and in open places, but make it more difficult for the older ones. Hard-to-find spots, such as under leaves, in drain spouts, in the mailbox, on the top of car tires are perfect challenges for older children in your group. Having them search for Easter eggs in harder places will also help them enjoy the hunt more. If you’re decorating and hiding real eggs for your Easter egg hunt, you’ll want to boil and dye them about a week before hand so you don’t stress about them being ready. Stuff your plastic eggs a week before the hunt, too. Strike up some fun after your Easter egg hunt with these fun Easter games. Bunny, Bunny, Hop: This game is like duck, duck, goose with a hop. Change the words to bunny as you tap each child and hop when one child is selected. Instead of running around the circle, players hop with their feet together. Egg Bowling: Use colored hard-boiled eggs and one white hard-boiled egg. Roll the white one into the center of a room and take turns to see who can roll their colored egg closest to the white egg. Happy Easter from the GoRhino Team!